Looking for a budget, last minute finger food recipe that’s a little bit quirky? Tanya McGovern provides the answer. Find yourself playing party host and can’t think of anything but chips and dips to serve? Try this unusual finger food recipe – a combination of sweet and savoury, with the palate cleansing freshness of cucumber. Cut cucumber into 5cm long and 1cm wide pieces. Peel orange and cut into segments similar in size to the cucumber. Cut bacon into sections around 7cm wide and 12cm long, bearing in mind that the bacon will shrink significantly during cooking. Place bacon between two layers of paper towel and pat dry. This will help to keep bacon crisp when cooking. Heat a frying pan on high, placing bacon in. Don’t add any oil. You’ll want to keep the pieces as dry as possible and the fat from the bacon will provide enough oil. Cook the bacon until it starts to lightly crisp. Avoid letting it get too crispy as it’ll make it harder to roll. Remove bacon from pan and place on a new layer of paper towel to drain off excess oil. To make a roll, take a piece of bacon and place a piece of cucumber and orange on top. 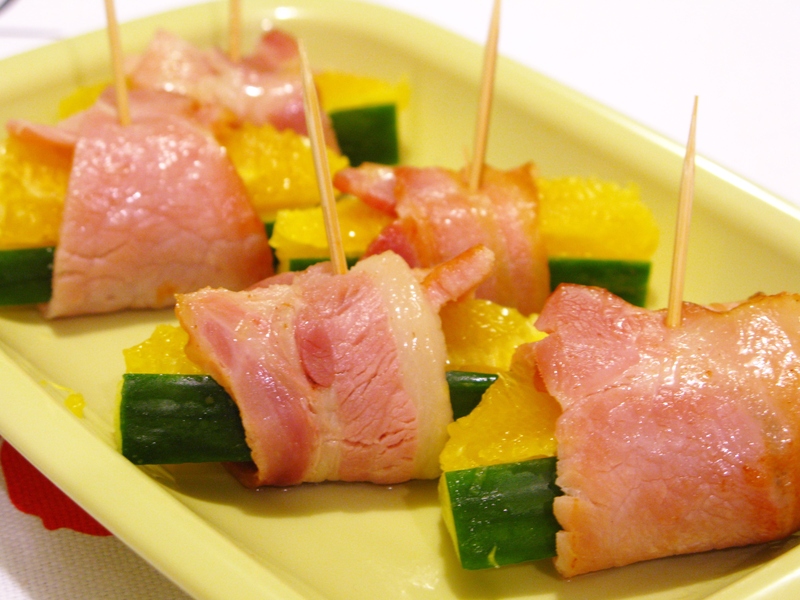 Wrap bacon strip around the cucumber and orange, fastening it in place with a toothpick. 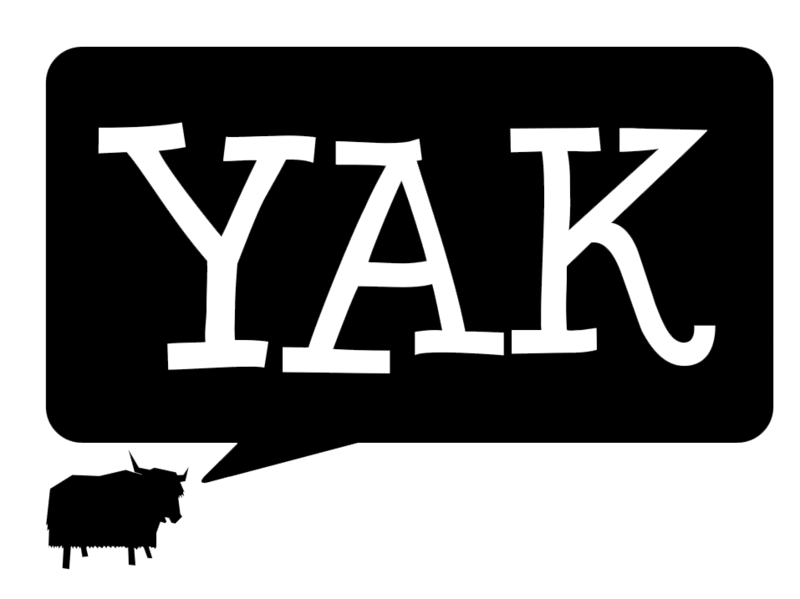 Check out this month’s issue of Yak Magazine for more finger food recipes to get you through your turn as party host. These look delicious and simple! Thanks for posting!